Can India Globalize and still be insulated from the West? "If we are integrating with the world, we will benefit when the world goes up and suffer when the world goes down"
This is the reason for this post. I read this in one of the business magazine the other day and it shook me up completely. Coming from a man of Mr.Montek’s caliber, I did not have enough reasons to refute the validity of the statement, but then neither could I come to terms with it. Is it impossible to have globalization and yet be decoupled from crashing global economy? If the answer is ‘No’, wouldn’t it be better to refer "India is going global" to "India is getting more dependent on the world"? I surely feel that India of all the countries can expand its reach across the globe and yet be considerably insulated from the global economic downturns like the one we are seeing now. "How India can do it" is something I may not be able to answer technically but, here are my 2 cents on it. To start with, I am all for globalization and the kind of Economic fertility it has provided to India. But yes, I do feel that there is a very basic and critical aspect the Indian Corporate Sector has overlooked. We are a population of over a Billion and unfortunately growing at an alarming rate. Have we exploited the domestic demand completely before we spread our wings to the west or elsewhere? Why are the most globalized IT/ITES sector crying fowl over the ongoing recession in U.S.? Yes, the developed countries provide enough demand and profitability for us to target the market there, but in the process, isn’t India Inc completely forgetting the under reserved domestic market. From the IT sector alone, it would be prudent to say that the Indian demand for IT services lags far behind the west. From a personal experience, it is difficult to explain and deal with Indian Clients when it comes to software implementation et all. But does that mean, that the demand is not there. The demand is indeed there, all that’s missing is obviousness of it. It involves some extra efforts but then if it helps the IT/ITES sector lose even 1% dependency on the west to maintain its profitability, I think it is worth the effort. This argument holds true not only for the IT/ITES sector alone. There are umpteen sectors which I feel have overlooked the potential in the domestic markets. A major part of this under exploitation is attributed to the Dynamic and Un-predictable Consumer behaviour In India. Are the foreign players better than us Indians in understanding the Indian Consumer? Senior Executive’s Fat Cheques – Not so Unjustified After all ! Asia’s Economic clout Post-Global Recession ! Consumer Confidence Index points to end of recession ! Corus and Ranbaxy – Acquisitions gone wrong? Which countries best survived the Economic Crisis? @Soham Well said Soham.The profit margins nail the deal when it comes to companies eyeing the markets of the West.Moreover, selling to poor has never been easy:) But then, lest these companies suffer huge earnings loss and resort to firing, i figure it will be best to atleast looking into the domestic markets.Companies could actually decide the % of revenue that they need to get from domestic markets. 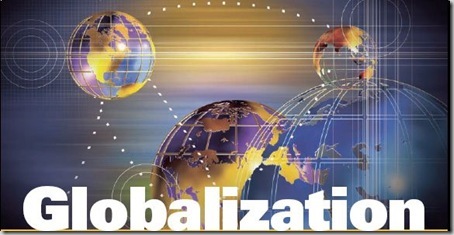 @mayavi When referring to globalization, i think it means both the 2 points u mentioned there. On hindsight, i figure that No.2 happens only when the No.1 exists. – does it mean becoming as competitive as innovative and even better at growing bigger enterprises. Globalization is often confused or used interchangeably with progress or economic prosperity – which in my opinion if not as much right as it as much as it is wrong – since India is big enough country and, as many think-tanks recently point to the shift of global power to Asia – has a great potential to grow from within to become a “global” super power in multitude of facets from economy, social, political and militarily as well. It is my strong belief that although economic liberalization is great, it is important to keep in mind that India that should not be put into the long term path of Singapore or small countries like that whose entire market is owned by international companies and none in-house. We need to shot and take step that in the long term would lead us into the paths of becoming a US or China or UK. I think, I might have given a way too optimistic picture of Asia becoming the next powerhouse of global economy. There is a definite chance, but I dont really see any of them taking concrete measures to stamp their authority. Even China is accomplice to this crime. Indian brands have been laggards in taking India in equation because they are busy chasing the currency advantage. 47INR is to 1 USD remember? Its too lucrative a deal. And lets accept it, making the poor buy your product is far more difficult that credit junkie US teenagers buying your product. But I must give it to the latest generation enterprises who are catering to domestic consumption far and wide. They are looking at India from a perspective of opportunities rather than challenges.A natural evolution given the fact, that there is storm brewing outside. Awesome take Soham!!! Asia becoming the dominant economy can well be one way we can insulate ourselves. But, what i dont quite get is the population!=demand part.I never meant that.What i tried to reflect that India has not catered to its domestic market,and it hasn got mch to do with population. China is suffering since they have for sometime become and export driven economy.India on the other hand has somehow been lacklustre in understanding its own customer in one way or another. Basically what i am trying to say is, that Indian brands have been rather lazy to change with the consumer demand. Interesting post, but I am afraid there are a few glaring gaps in it. Let me address a few, as I understand them. Firstly, Mr MSA is right, today, India has no way to cushion its fall when the economic tide recedes. But, to assume that this is the truth, will be tantamount to not questioning the assumptions. The implicit assumption is, global economy is dependent on US. Which need not be true in the decades to come. Asia can very well, emerge as the next locus of global economy, and that economy will not be credit fuelled consumption driven economy. Secondly, and more importantly, population != domestic demand. All Asian countries including China is grappling with domestic demand problems, except India. And that gives a strong raison de etre, India can come out with trumps before even China. But to turn this advantage into a real 10x change, the government for the next 6 years has to be a totally different one, approach and embrace reforms on a war footing, take care of law and order in almost a Machiavellian paradigm.